Battle of Rattlesnake Springs, Texas August 6, 1880. Rattlesnake Springs is 40 miles north of present day Van Horn, Texas. 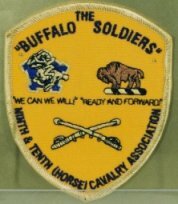 The Buffalo Soldiers were led by Officers who were Civil War veterans. The closeness and dangerousness of their many patrols forged the type of bond that develops between men with shared combat experience. 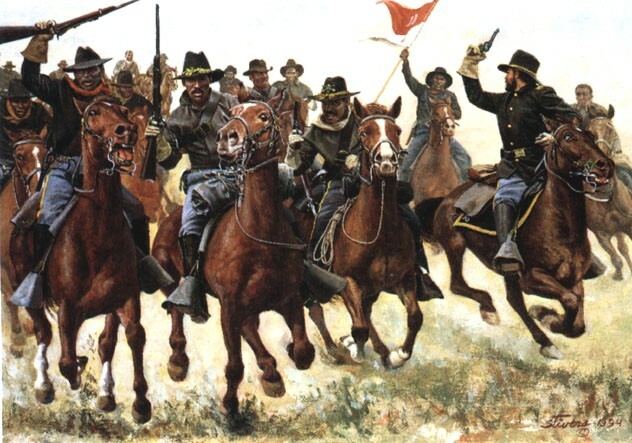 An example of such experience is evidenced in this account by Lieutenant John Bigelow, 10th Cavalry, of action against Victorio's Eastern Chiricahua Apaches on August 6, 1880 at Rattlesnake Springs, Texas. "On the 30th of July Colonel Grierson, with a party of only six men, was attacked by this band between Quitman and Eagle Springs. 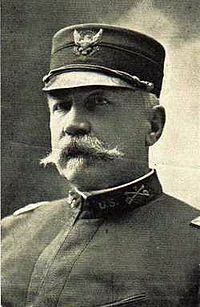 Lieutenant Finley with fifteen men of Troop G came up, engaged the Indians, and held them in check until the arrival of Captains Viele and Nolan with Troops C and A. In an engagement, which lasted four hours, seven Indians were killed and a number wounded. On the side of the troops one soldier was killed and Lieutenant Colladay wounded. The hostiles were driven off and pursued to the Rio Grande. In the course of the pursuit a running fight of at least fifteen miles was maintained near the Alamo by a detachment under Corporal Asa Weaver of Troop H. Private Tockes, Troop C, was killed. 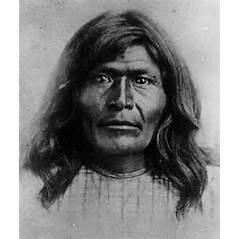 His horse went to bucking and then ran directly into the Indians. When last seen alive this devoted trooper had dropped his reins, drawn his carbine, and was firing to right and left. His skeleton was found months afterwards. For his gallant conduct in this affair Corporal Weaver was promoted to a sergeant on the ground."